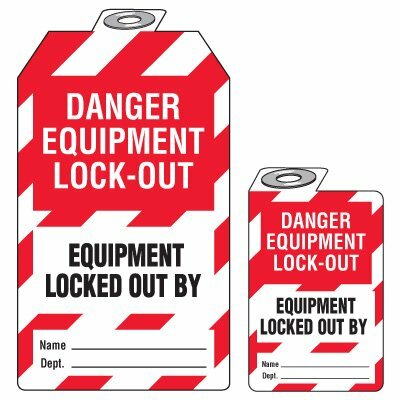 Tag reads - "Danger Equipment Lock-Out Equipment Locked Out By"
DANGER EQUIPMENT LOCK-OUT EQUIPMENT LOCKED OUT BY. NAME_____. DEPT._____.